Have you ever felt frustrated during your doctor’s appointment? Ever feel like they just don’t get what you are trying to ask or share with them? Talking to your doctor about your health issues can be intimidating, but it doesn’t have to be that way. As more and more people are turning to integrative and functional medicine to find and treat the root cause of their illnesses, it’s super important to feel comfortable talking to your doctor. That’s why I asked Britt Reuter from BrittReuter.com to talk to you a bit more about functional medicine, and give her best tips on how to effectively communicate to all doctors (functional medicine focused or not). Britt is a Functional Medicine Nutritionist who has the unique perspective of once being that frustrated patient in the doctor’s office. Without further ado, here’s Britt! Our body is often referred to as our temple, and we try to care for it the best we can. This usually means eating right, exercising, de-stressing, sleeping, and practicing good hygiene. Caring for our bodies can also mean partnering with healthcare professionals to prevent or address illness. Traditionally, we work with clinicians (MDs, PAs, NPs, RNs, etc.) practicing in the conventional care model. Conventional medicine (also referred to as Western medicine) has contributed to significant advancements in health. Specifically, they excel in acute care situations such as when you break your leg, have a heart attack, or need your appendix removed. Pharmaceuticals such as antibiotics have saved countless lives, making many infectious diseases virtually obsolete for those of us living in first-world countries. So, as you can see, conventional care has had many positive impacts on our lives and has earned a place in acute care situations. Where conventional care often falls short is in the treatment of chronic disease. Conventional medicine typically approaches chronic disease with a focus on suppressing symptoms with pharmaceuticals or surgery, rather than correcting the underlying imbalance. This isn’t the best way to address chronic disease because we know that it’s often attributable to behaviors within our control (such as diet and lifestyle choices) and can benefit significantly from changes in these behaviors. Thankfully, there is an alternative to conventional medicine called Functional medicine. Functional medicine takes a very different approach to wellness than what we might traditionally expect from working with other healthcare providers. These practitioners (which, it should be noted, may also be MDs, PAs, NPs, RNs, etc.) consider any sign or symptom of disease to be the result of inflammation and imbalance within the body. They work with their patients (or clients, depending on specialty) to identify the root-cause(s) of inflammation and design a multi-faceted approach to address and correct that inflammation. It has been said that Functional medicine is a whole person approach which emphasizes the why (the root-cause) versus the what (the symptoms) to promote healing. So, you might be asking at this point: Why wouldn’t I work with a Functional medicine practitioner exclusively on the management of my chronic disease? Choosing which professionals to work with on your health is a personal and sometimes complex decision. Working exclusively with a Functional medicine practitioner is certainly a choice that a growing number of people are making. However, there are often factors such as geography or finances that limit an individual’s access to trained Functional medicine practitioners. Functional medicine care is typically not covered by health insurance (although there are exceptions) and often clinics providing this care are cash-based, meaning that patients are responsible for paying 100% of the costs out-of-pocket. Costs may include office visits, phone consults, laboratory testing, supplements, etc. and can sometimes feel inaccessible to those with limited finances. Many of my clients choose to take a combination approach to their wellness – relying on both conventional and Functional medicine practitioners to support them in achieving their wellness goals. Often, people are able to save money by obtaining lab work through their conventional medicine doctor which is typically covered by their health insurance. That being said, some people might find it hard to ask for or explain the support that they need from their conventional medicine doctor, especially when they are following recommendations that their doctor isn’t familiar with. If this is something that you have struggled with, try out these tips to have a more productive relationship with your doctor. Go to your appointments prepared. Bring notes and have your health story ready to help bring your doctor up to speed on what’s going on with your health. Build rapport. Making a connection with your doctor can be helpful when partnering with them on your health. Small talk, finding common interests, complimenting them (“I really appreciate your dedication to your patients”), and using open ended questions (“What makes you passionate about practicing medicine?”) can be helpful in building rapport with your doctor. Just remember to be respectful of their time as they might not have the scheduling flexibility to chat for very long. Openly express your wellness goals. Being clear in what you hope to accomplish can be helpful to give your doctor a better idea of your unique goals. Something as simple as, “I want to be as healthy as I can and take a proactive approach to wellness” can do a lot to get both of you on the same page and build open communication. Take a deep breath. Inhale, exhale. Talk a little slower. Keep calm. Share your feelings. If you’re struggling to have productive communication with your doctor, try sharing how they are making you feel. Bring a friend or family member. Sometimes bringing a buddy can help boost your confidence and make you feel more comfortable expressing yourself. Work with your Functional medicine provider to share information with your doctor. Quality clinicians (be they based in conventional or Functional medicine) should be willing to collaborate on their patient’s health and confer (where appropriate) on their treatment approaches. Some doctors may find it helpful to hear the explanation of tests or interventions directly from your Functional medicine provider. It might be time to move on. Remember, your doctor works for you. If you can’t get your doctor to cooperate in your treatment the way you want, you may need to consider looking for another doctor. 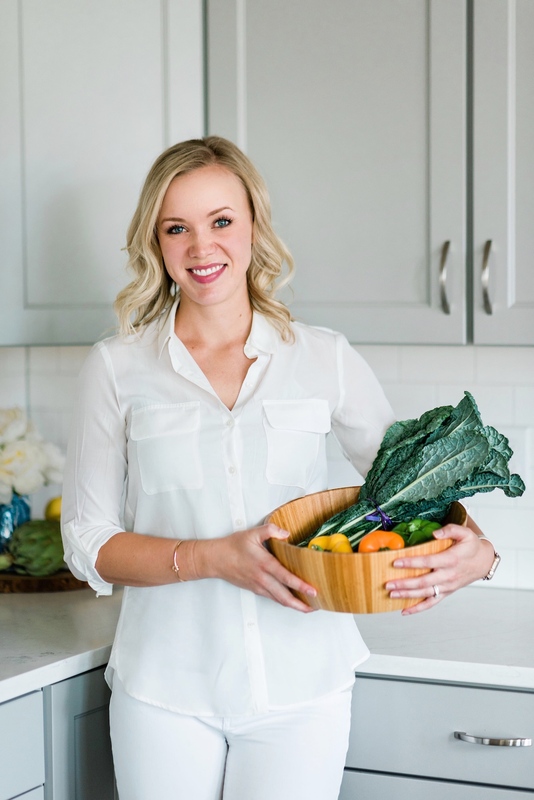 Britt Reuter, MS is a wellness-warrior, health-detective, autoimmune-thriver, and Functional Medicine Nutritionist. She runs a virtual clinic and consults with clients all over the US via phone or video conference. Her specialties include helping women with gut issues, hormone imbalances, and autoimmunity. More about Britt here.